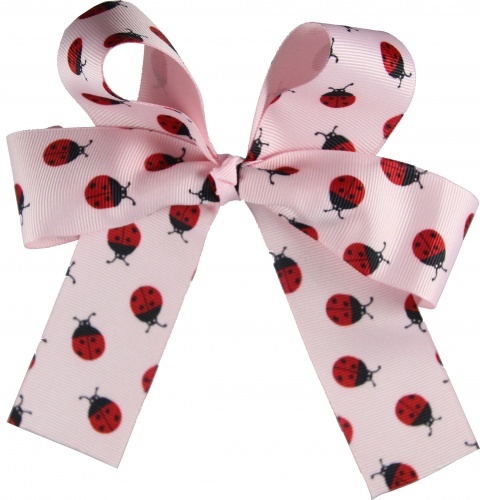 Ladybug Lovers this bow is for you. This is a 1.5" pink grosgrain ribbon with red and black ladybugs all over. Two long tails hang down in front which makes this great for a big ponytail look and is awesome to add embroidery onto. A 3/8" pink grosgrain ribbon makes the center French knot and is attached to a 2 and 3/4" French clip.